1. Q: Should I pay for the samples? A: No, they are free for you. You only need to pay the shipping freight. A: They will be shipped by DHL, EMS, UPS, FEDEX and TNT. 3 Q: What is the payment terms? A: T/T or 50% deposit, balanced by copy of B/L . 4 Q: Do you have a MOQ? A: Usually we don't set the minimun quantity, but the more, the cheaper. 5 Q: Do you have any new products or can you open a new mold for me? 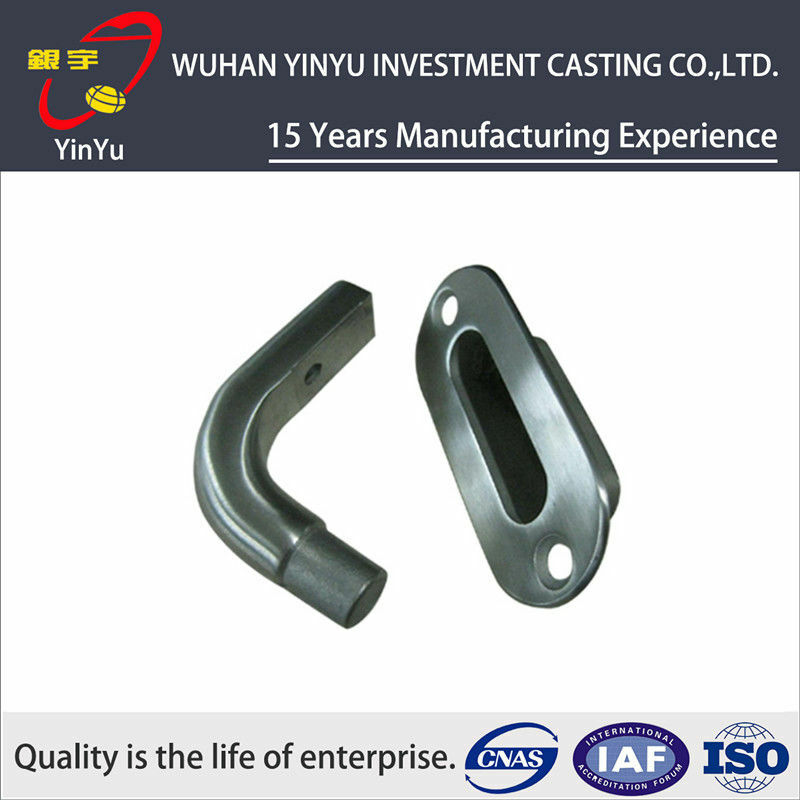 A: If drawings and sampels are provided, we can open a new mold for you. A preferred business partner providing OEM and ONE-STOP service of metal stamping parts and investment casting parts. 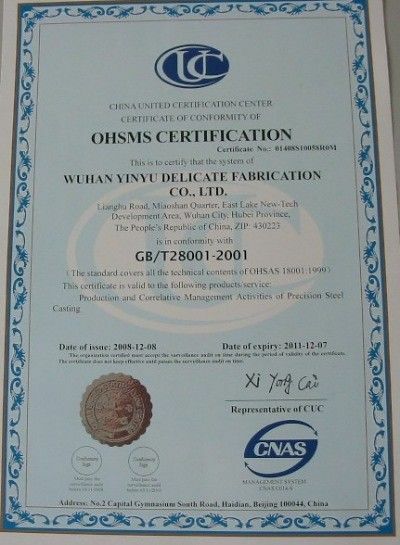 Yinyu is able to meet customers’ requirements for all kinds of metal parts made out of stainless steel, carbon steel,etc, which based on customers’ drawings or original samples. 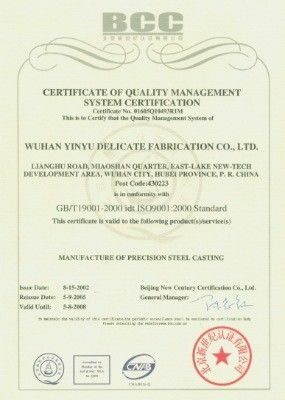 As a professional supplier, Yinyu strives to keep the principles of Integrity, Quality and Competitive Prices all the time. Yinyu customers come from various markets all over the world, such as US, Europe, Africa, South Asia and etc.